Sarcomas are cancers that start in bones, muscles, connective tissues, blood vessels or fat, and can be found anywhere in the body. There are more than 50 different types of sarcoma, which fall into two main categories: bone cancers and soft tissue cancers. An estimated 12,390 new cases of soft tissue sarcomas and 3,260 new cases of bone cancers will be diagnosed in the U.S. in 2017, with more than 6,540 deaths expected to result from the diagnosis. Sarcomas are rare in adults and make up approximately 1% of all adult cancer diagnoses. 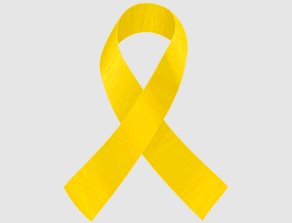 The overall relative five-year survival rate for people with sarcoma is around 50%. When the sarcoma starts in an arm or leg, the five-year survival rates are slightly higher for each stage when compared with sarcoma that starts in other locations. In addition to specific projects listed below, genomics research is helping us attack sarcoma – and all types of cancer. NFCR has distinguished itself from other organizations by emphasizing long-term, transformative research and working to move people toward cancer genomics. Dr. Web Cavenee has fundamentally changed the way scientists now think about the onset of cancer and its progression. He provided the first indisputable evidence of the existence of tumor suppressor genes. He and his team have developed a high-throughput CHIP-NextGen sequencing method to identify miRNAs that drive the development of aveolar rhabdomyosarcoma, a type of soft-tissue sarcoma that has a poor prognosis and is most common in young adults and teenagers. Dr. Wei Zhang has devoted his entire career to the pursuit of precision oncology – specifically to the key molecular and genomic events that drive the development and progression of cancer. Over the last 18 years, Dr. Zhang has identified multiple novel cancer markers and oncogenic signaling molecules, including targets for the treatment of a soft tissue sarcoma that develops from tissues surrounding nerves called malignant peripheral nerve sheath tumor (MPNST). Results have provided evidence that the tyrosine kinase receptor pathway is a potential therapeutic target for patients with MPSNT.